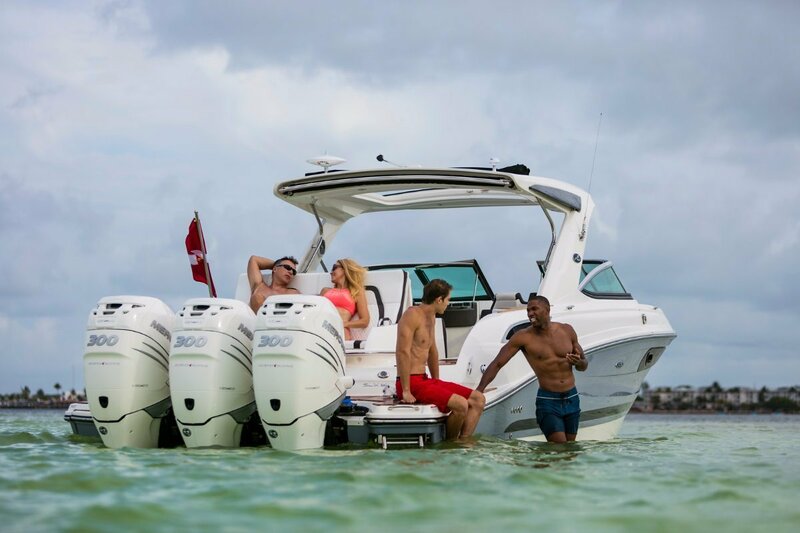 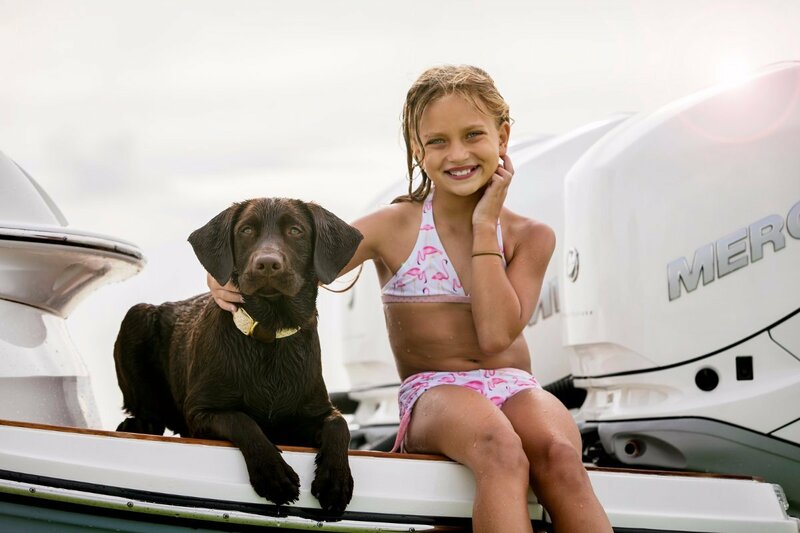 Introducing the new 2019 Sea Ray SLX 350 Outboard, delivering all the benefits of the popular SLX 350 with the addition of the latest technology Mercury V8 Four Stroke outboard power. 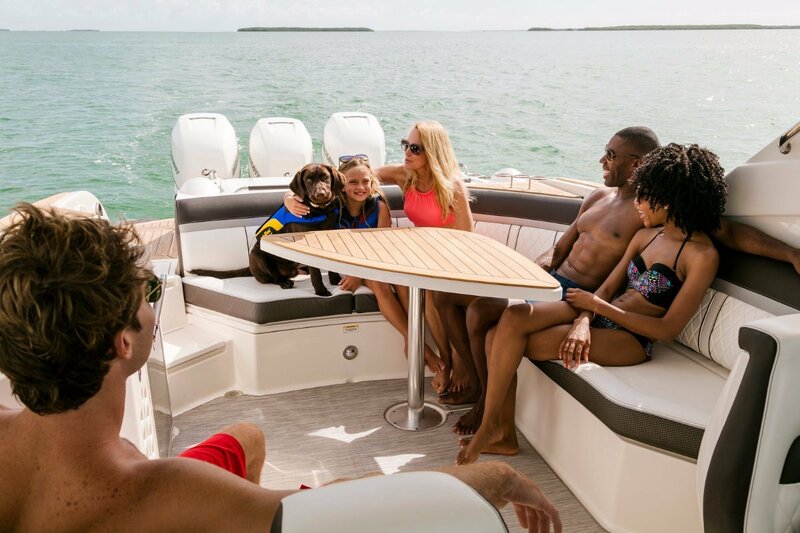 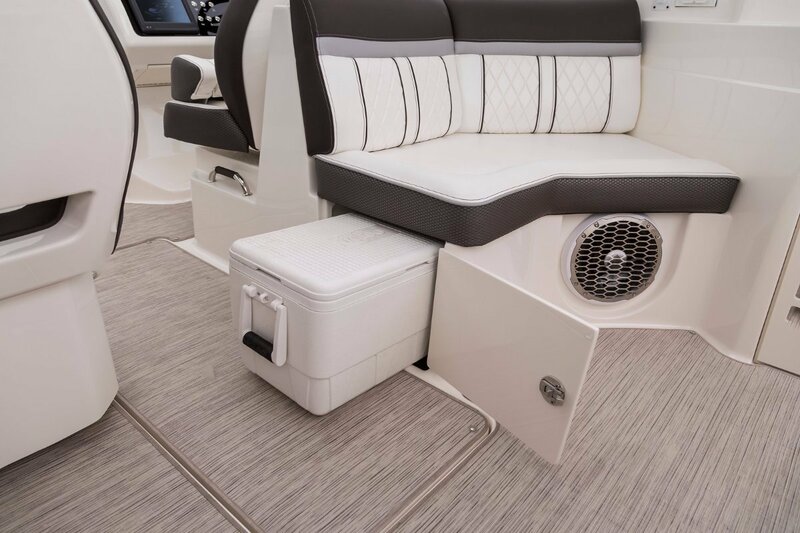 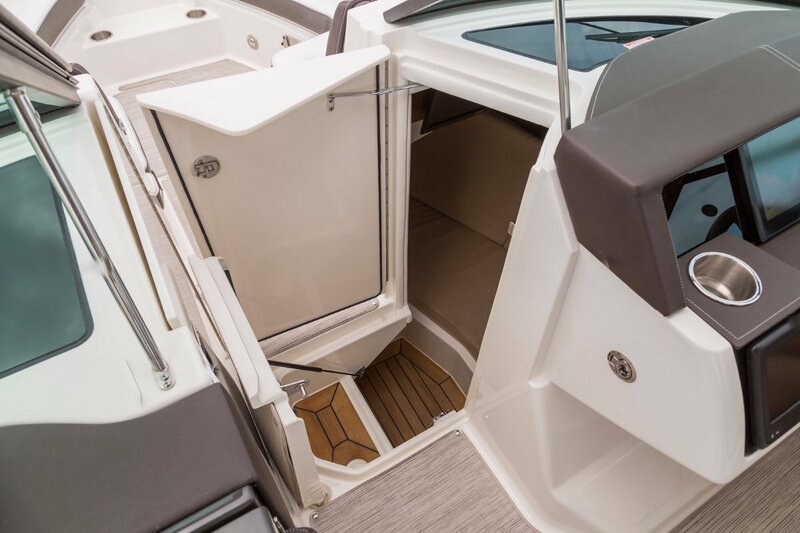 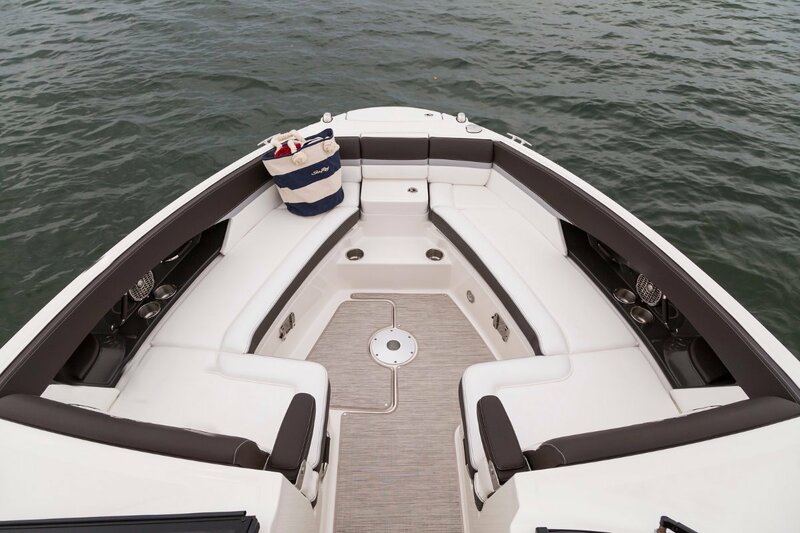 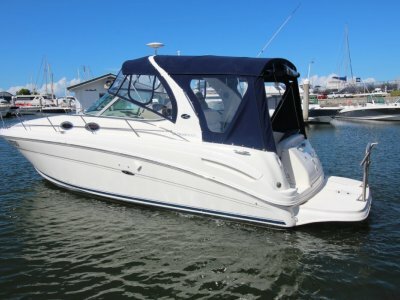 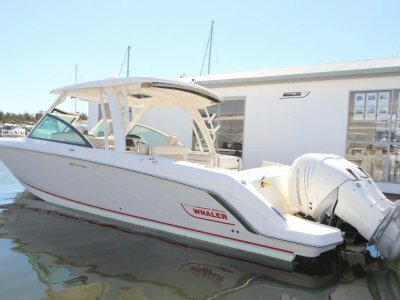 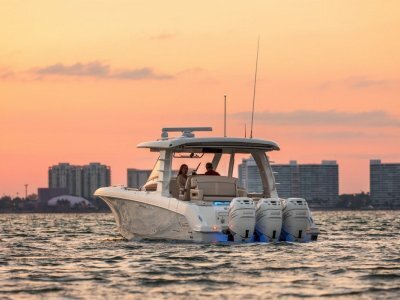 This is a no-trade-offs vessel: Enjoy more space for friends and family, more power for the activities you love, more ease, more style and more fun all around. 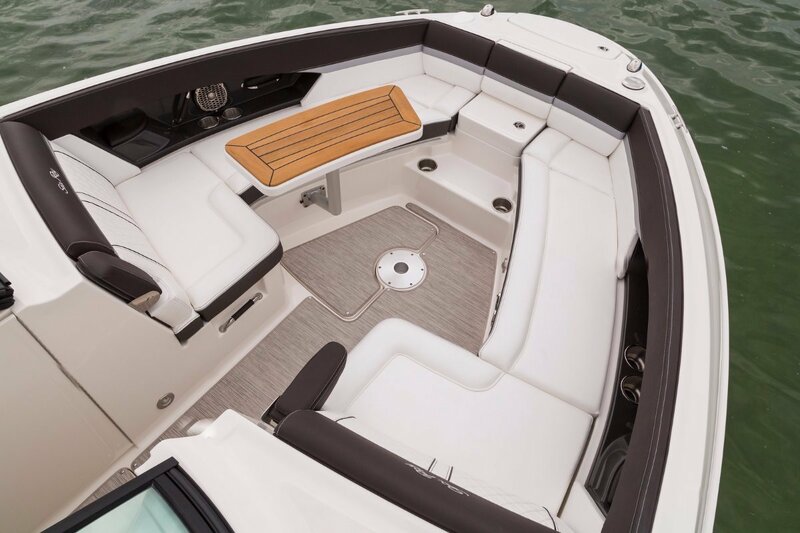 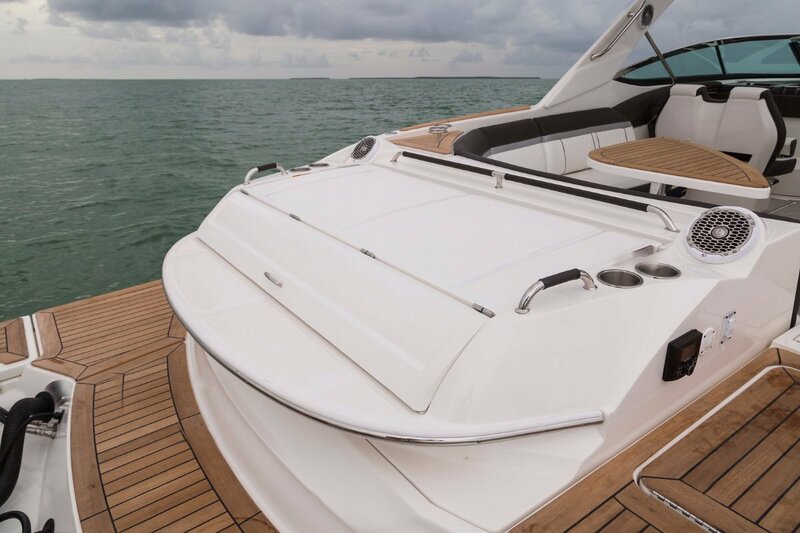 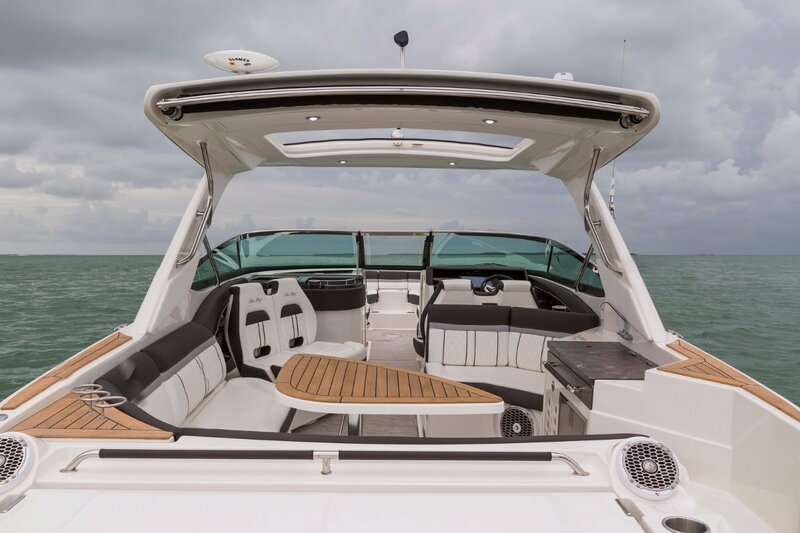 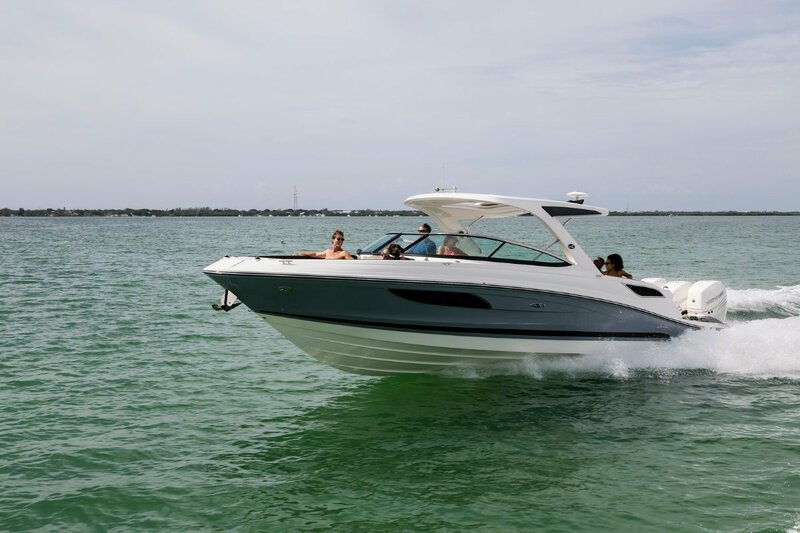 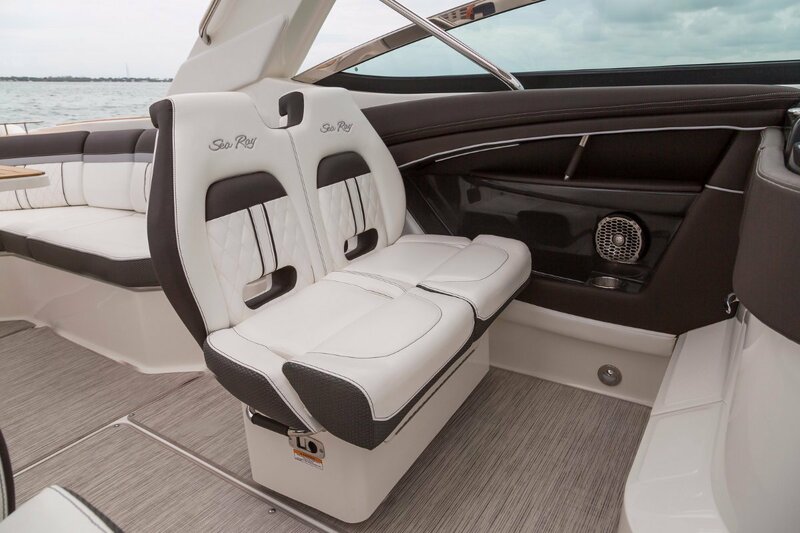 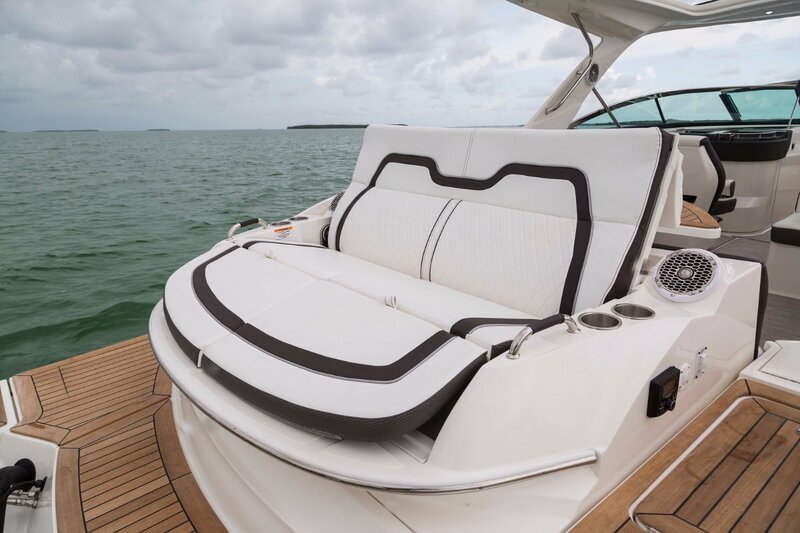 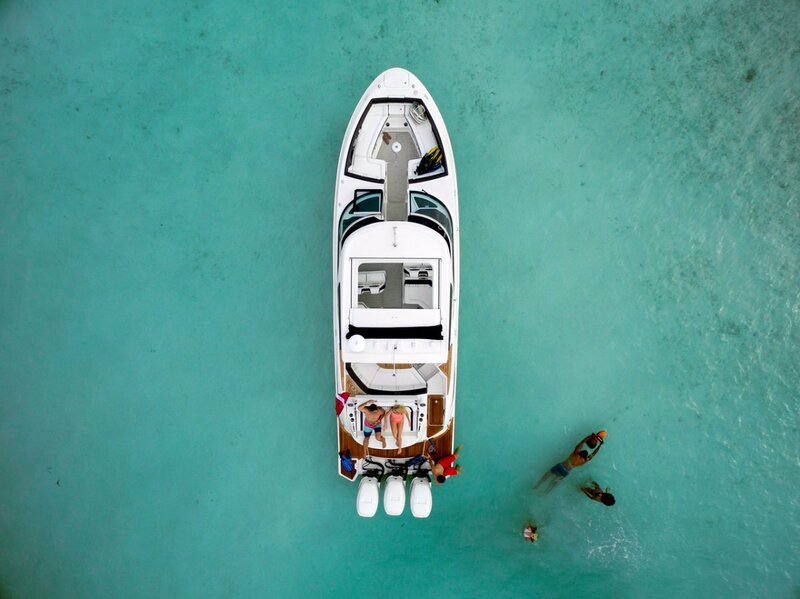 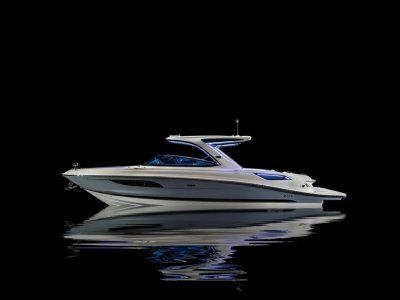 An array of Sea Ray's Next Wave(TM) innovations-from the noise-quashing powers of Quiet Ride(TM) to the precision and stability of Dynamic Running Surface to the agility of joystick piloting technology-take the experience to the next level. 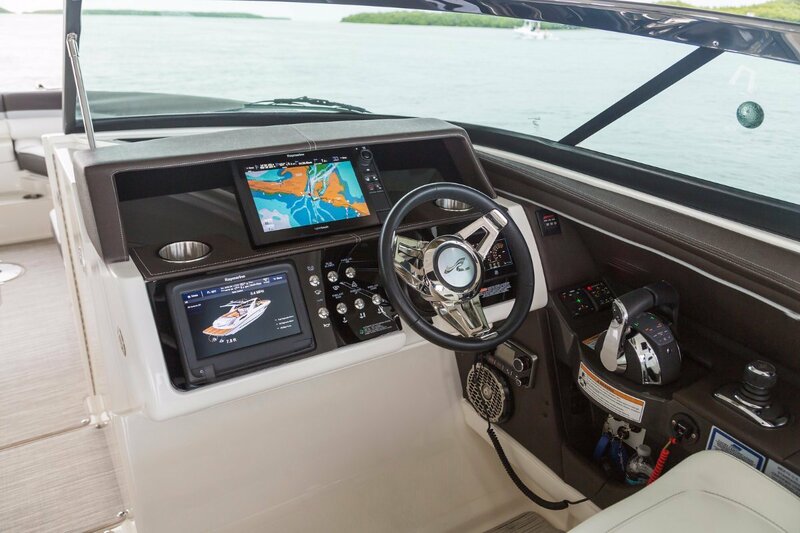 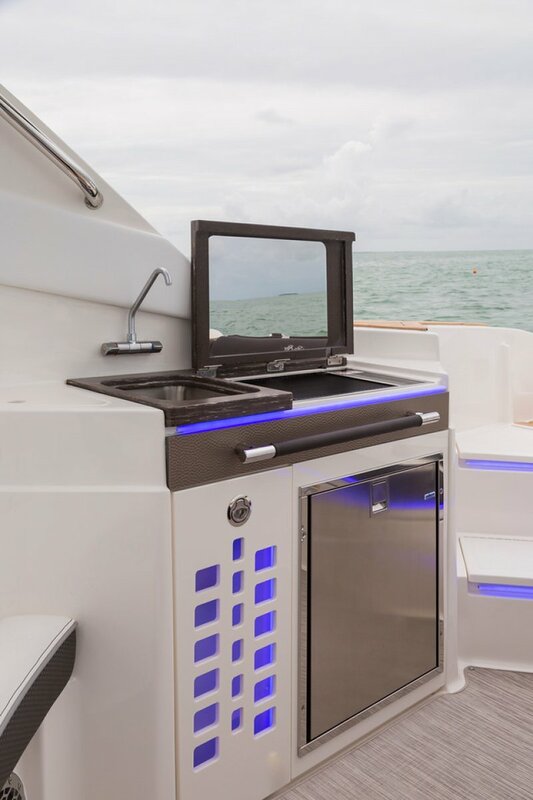 And a host of intelligent features combine in a sleek, stylish package that exceeds all expectations. 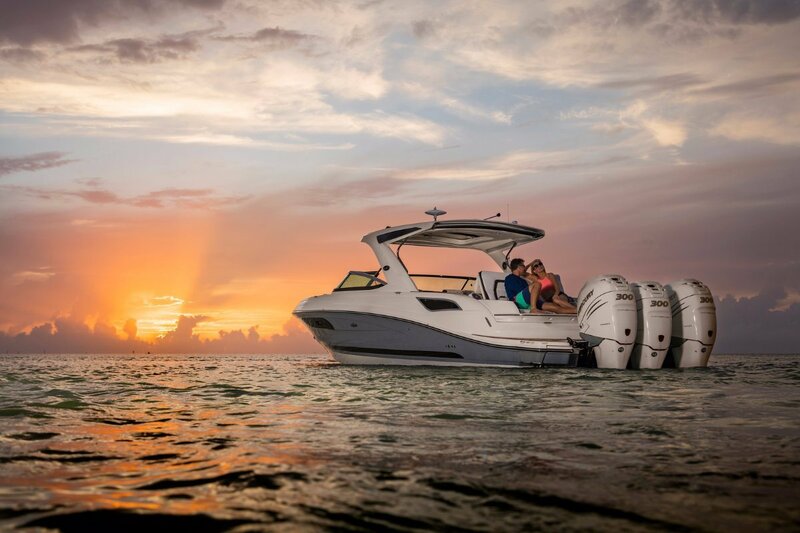 In short, the SLX 350 Outboard will make you want to spend even more time on the water. 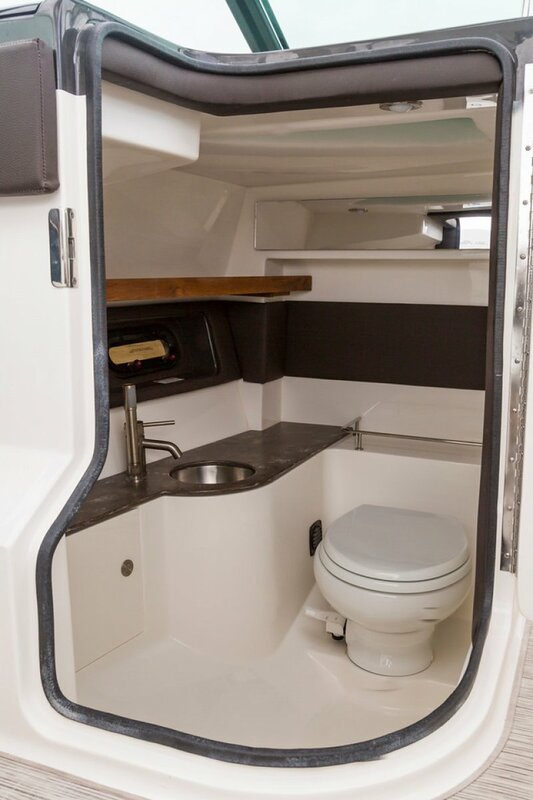 Contact us today for price and availabililty.